Two people receive the same treatment regimen , but respond in very different ways. For example, the drug might work very well for one individual, but not work for another. Or the same regimen might cause adverse effects for one person, but not for the others. 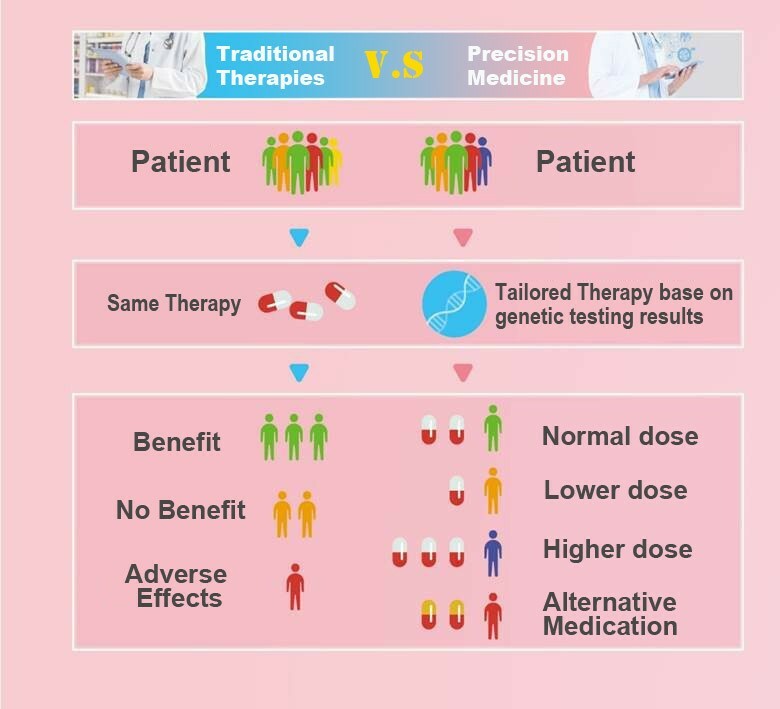 PGx test makes medication easier that predict who will benefit from a medication, who will not respond at all, and who will experience negative side effects (called adverse drug reactions).